Morning Glory Pool at the Yellowstone National Park Wyoming. 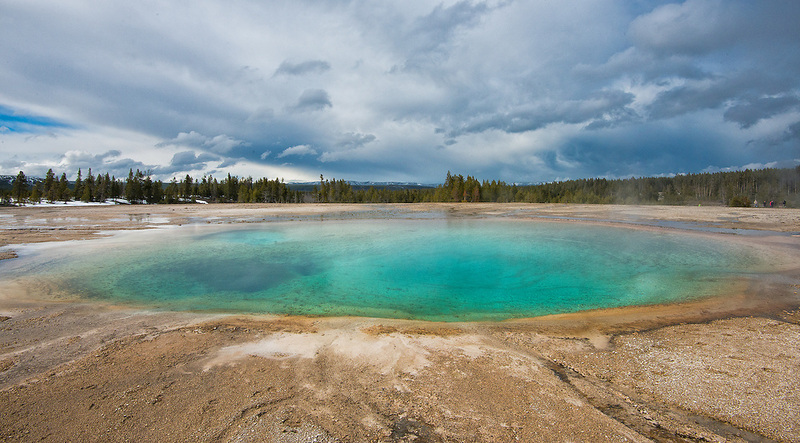 Inspired from the shape of a - morning glory flower, this geothermal pool is a result of a super volcano system. These mineral rich waters of the spring surprisingly has active bacteria and other life forms.